Design is a funny thing. The word itself carries a certain weight, it is somehow deliberate and exciting at the same time. Yet, so often design is let down by the poor translation or communication of ideas. You may have an excellent ‘design’ in your mind, but displaying or presenting that to a client is an entirely different matter. Every designer faces the same challenge of communicating their design ideas in a thoroughly engaging way: whether the communication be to their clients, other stakeholders or even as part of their own internal design process. This is a site about Revit, but this article is about discovering new possibilities, new ways to express your design, new ways to add context, realism and reality. 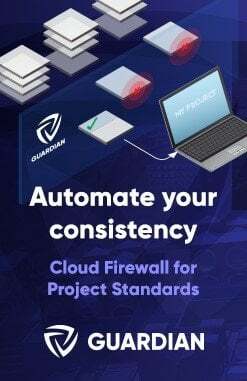 It is also about a powerful piece of software called Lumion – a design communication tool that I personally use and have used for quite a few years. Thecombination of Revit and Lumion give architects a complete toolkit for modeling, understanding, sharing, adjusting and presenting their design. Often we don’t immediately recognise the full potential of a new, beautiful idea. Roger describes that Lumion was initially designed to be a powerful presentation tool, but Architects soon discovered that it can also shift the way they design in very positive ways. He describes how a new user of Lumion can easily get comfortable with the basic concepts of the software, even those who are not ‘technical’ or especially comfortable with computers. Yet, once they start using Lumion, they get to grips with it easily and quickly learn to iterate design changes and brief clients more rapidly and smoothly. Lumion gives a certain realism and context to your design that can assist you to modify and improve the design internally, before it is even time to present it to anyone. We often become so used to a way of working that we almost feel like there is no other way, or that perhaps we already have the best way. Yet, if that were true, innovation would not be a reality. Sometime, disruption is necessary. So if you have an established way of designing and communicating, take this opportunity to re–evaluate as I review Lumion. The user interface itself is nice and clean and easy to read and understand. As someone used to complicated programs like Revit and AutoCAD, this is a welcome breath of fresh air to me. Rather than present you with an overwhelming and detailed set of buttons, Lumion allows you to progress your digital presentation in stages, from Building to Materials and Lighting and Presenting and so on. We have experienced this realisation at Virtual Built. 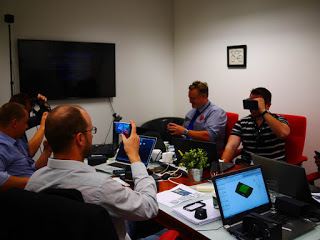 Recently, we have been demonstrating Virtual Reality tools to our clients. 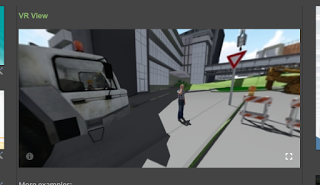 However, in some programs it can be difficult to populate a scene quickly and then output to a suitable VR platform. 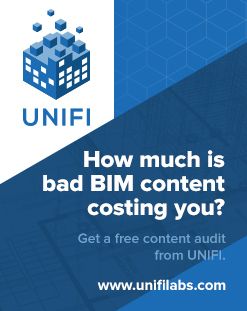 This is not the case in Lumion, as the included content means you can get up–and–running quickly. 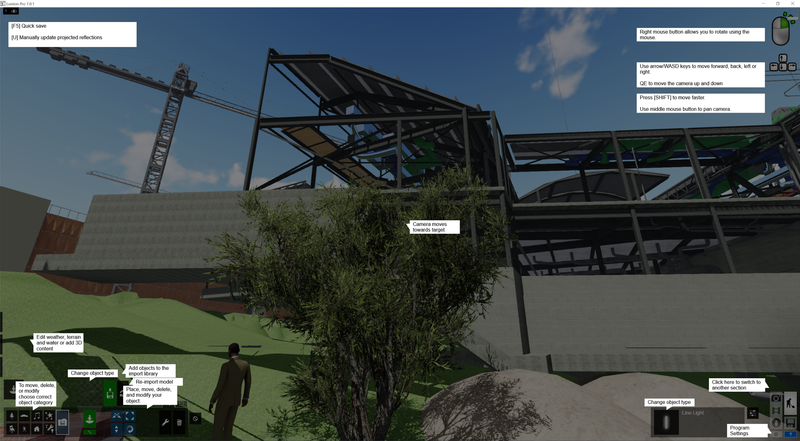 If you have a few basic building models, you can add site context and a few nice little details like a truck or a crane to create a site utilisation model, and then output to a number of different VR panoramic formats. 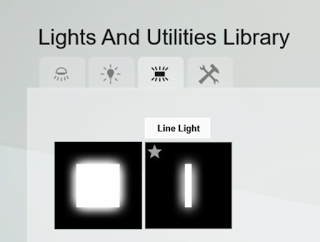 I have been using Lumion over a number of years and different versions, so I was excited to see theupdates and new features available in Lumion 7. The major new features are listed below, and we will dig into each feature and uncover the new opportunities they present. OpenStreetMap (OSM) is an online resource that stores 3D building models along with map information like roads and water areas. In the past, I have used many methods to try to get a locality plan or model created, and it can be quite clunky and challenging. 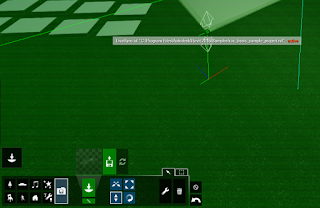 However, in Lumion 7, this is now completely automated. Using the OpenStreetMap import, in just a few minutes you can have a realistic map in Lumion to locate your building models, and it will even have adjacent 3D building models as well! It will automatically ‘cut out’ your own building model from the OSM data. The OSM function in Lumion 7 is still Beta functionality, but it can already be very useful to quickly add context or a background to your design. Check out this page for more information on OpenStreetMap and Lumion. 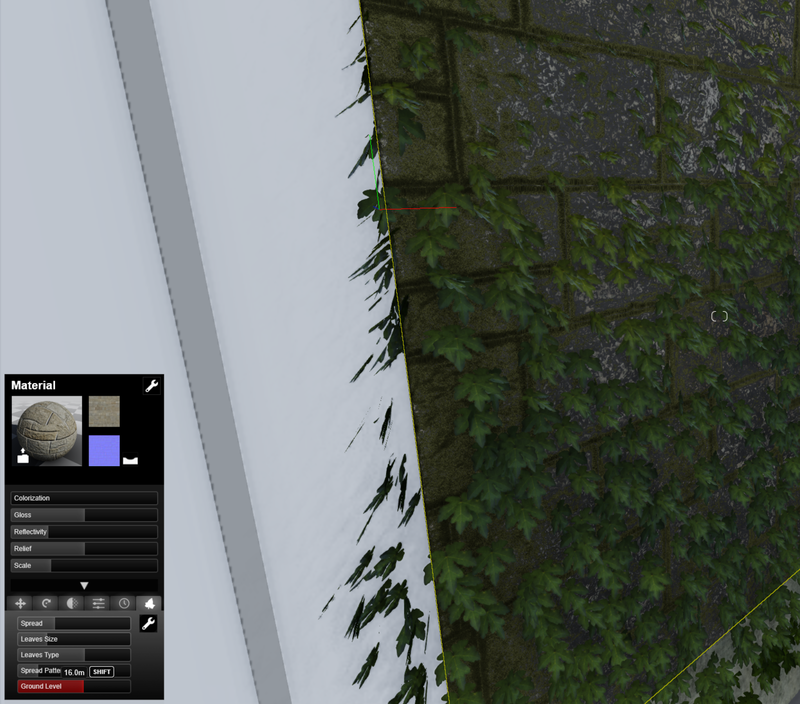 Building models sometimes appear ‘flat’ due to the way various platforms handle materials. 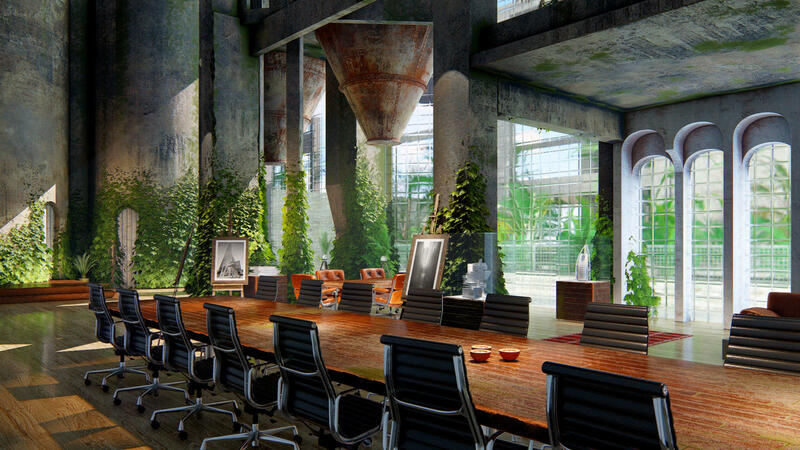 However, in Lumion 7 you can now remove the coldness of computer–generated imagery by seeking out edges, roughness and other properties of natural materials to make them look like they’ve been around a while. My associate here at Virtual Built, Michael Clothier, recently used this to add realism to an important theatre building in Adelaide that is currently under construction. You can also cover models with leaves or add weathering, ageing and transparency. 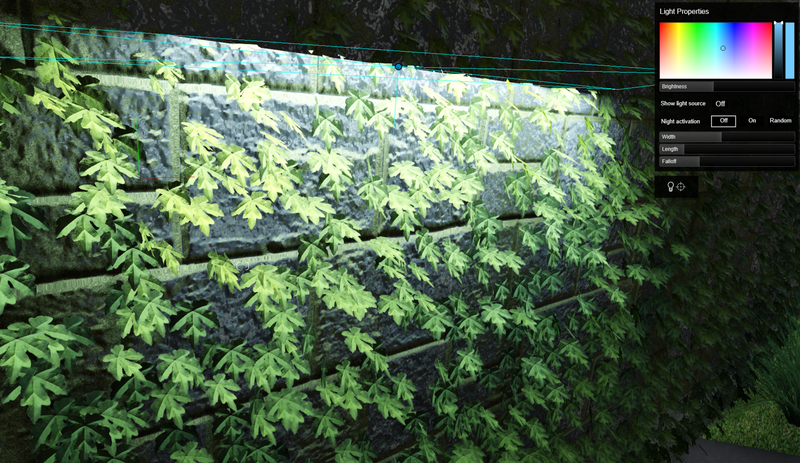 Even transform any object into thousands of leaves or add ivy to a wall… These tools are implemented through the Material Editor, so the workflow is logical but the effect is quite impressive indeed. You can use Lumion to share a navigable panorama to anyone who owns a smartphone. It is incredibly simple and powerful and is one of the features I hinted at earlier in the article. It is something that allows you to put your design on display in a new way, and get valuable client feedback and engagement. Then, you can quickly iterate the design and send them a new link. We have used this to create sets of views for various stakeholders, but the key thing is really how easy and quick it is. You don’t have to print something or even save an image and find it on your hard disk. You can do all of this creation and sharing in just a few clicks. We have found it to be a real game–changer. 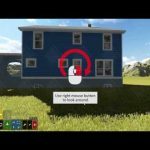 You can view a basic demo of the technology from one of my sandbox projects here. 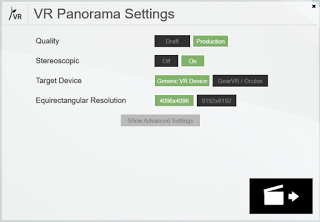 Lumion VR viewer is no longer supported, instead you can render static images for viewing on a variety of VR platforms. I will provide some notes on how you can do this below. Note: You can use a Oculus DK2 with an Xbox controller instead of an Oculus Remote. 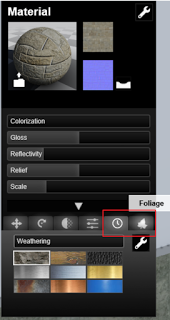 Typically use theA button to select what you are looking at. 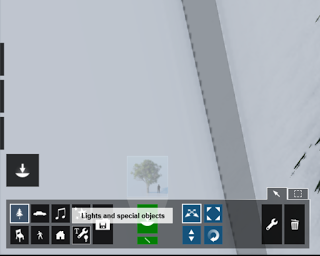 Did you know you can easily move objects between layers? Click here to see the general system requirements for Lumion. Click here to install the latest graphics card software and all available Windows updates. Double–click on the Download Manager to run it. Follow the instructions to install Lumion. Click here if you have any problems. You can register your License Key to a forum account. Congratulations! 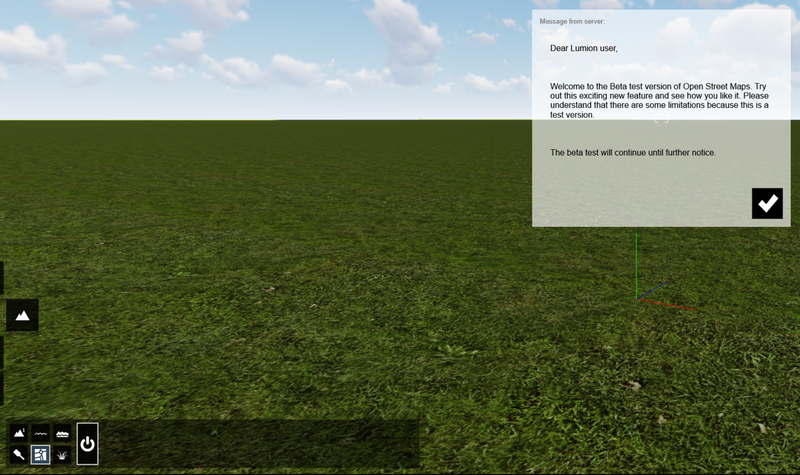 You are now ready to start Lumion for the first time. 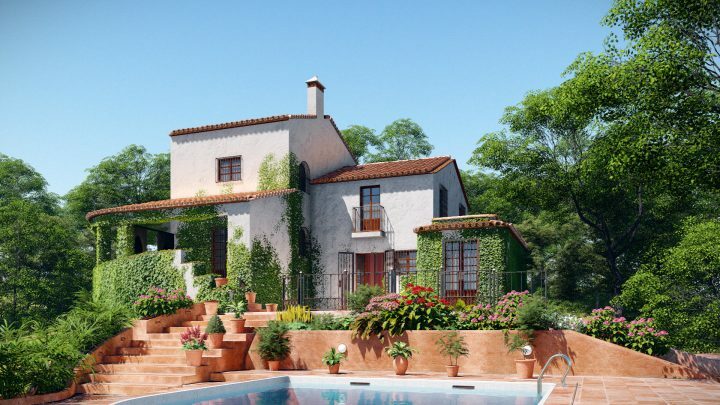 Click here to learn how to get the most out of Lumion. 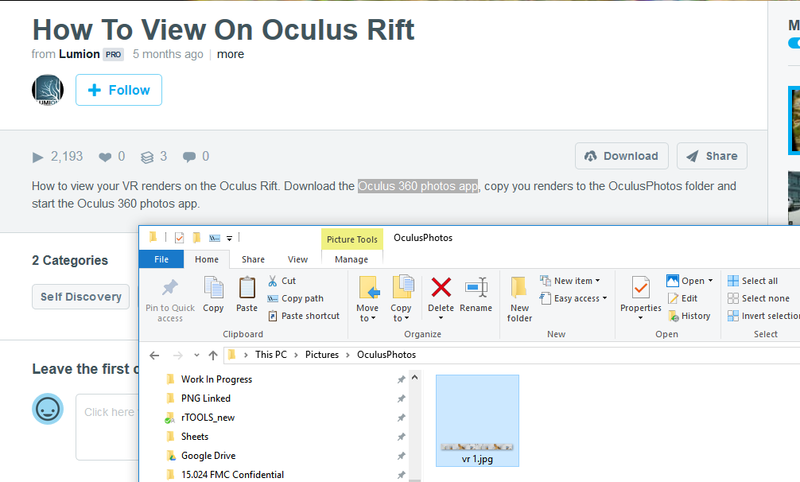 How do you feel about Revit? following step are good read…good tips and i got some idea after i see your post…..